Monroe Country Club is a semi-private, 9 hole, (5428 yd.) golf course which is also open to the public. Monroe Country Club was designed by one of the 20th centurys' most notable golf course architects William S. Flynn. His name can be associated with some of the most preeminent names of golf in the U.S.
William S. Flynn (1890 - 1945): As an athletic youth, helped Hugh Wilson build the East Course at Merion, PA and soon found steady work laying out golf courses in the Philadelphia area. Flynn's work around eastern Pennsylvania was legendary: Philadelphia Country Club, Rolling Green, Huntingdon Valley, Lehigh, Manufacturers and Philmont courses. But his work elsewhere is more recognizable: Cherry Hills C.C. in Denver, Cascades in Virginia, The Country Club in Brookline, Mass., and Shinnecock Hills on Long Island in NY. Bill Flynn was a pioneer ... He was the first to build a million-dollar golf course, the first to routinely install three separate sets of tee boxes and the first to propose a maximum distance for golf balls, to avoid the necessity someday of building 8,000-yard courses. Monroe Country Club, built in 1922, reflects the best traditions of golf courses designed during that era. The course places a premium on the player's ability to master their short game on the par 4's and 5's while the par 3's require an accurate tee shot in order to score well. Monroe is a 9 hole course offering 18 teeing areas that provide a variety of challenges for those who desire to play 18 holes. Golfers will appreciate Monroe's long standing reputation for well manicured and undulating greens. 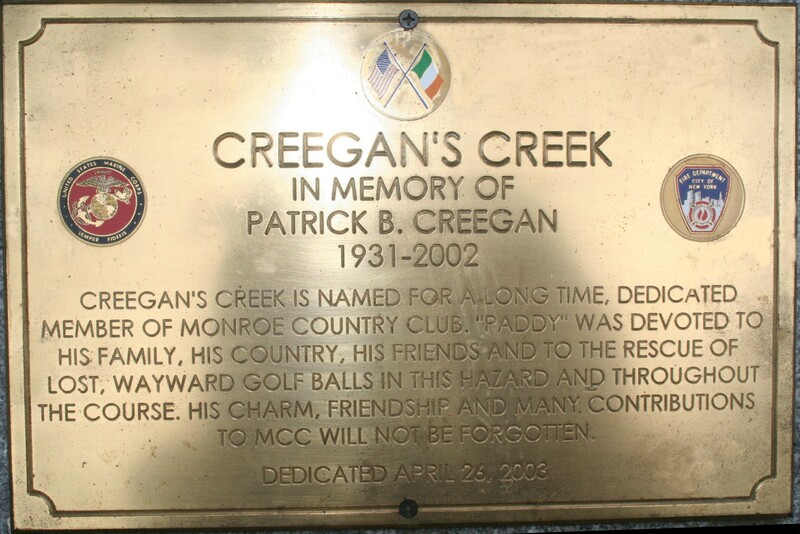 The design of the course takes advantage of the property's changes in terrain and "Creegan's Creek" that comes into play on four holes and runs through the property which will leave the golfer asking..."Should I go for it or do I lay up?". Collared shirts required. No cut off shorts. We are a spikeless course. 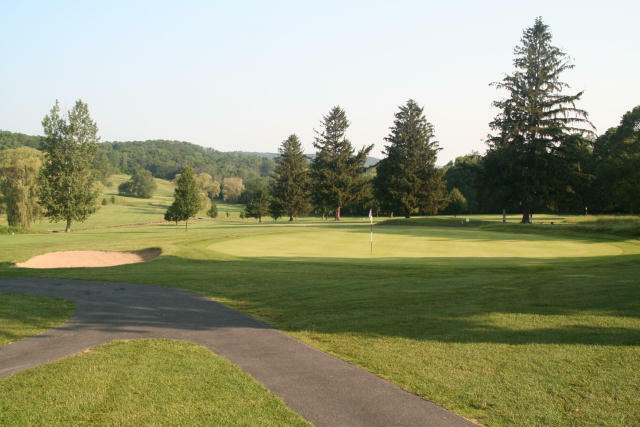 Call us at 845-783-9045 and speak to our friendly staff about scheduling an available tee time. Reservations can be made up to one week in advance. Groups and Outings are welcome. Call our pro-shop for more details, 845-783-9045. Also please ask about our reasonable membership packages. Enjoy drinks and a "bite to eat" in our grill room or partake of the fine foods in the dining room of the new Tequila Grille (Lunch or Dinner).